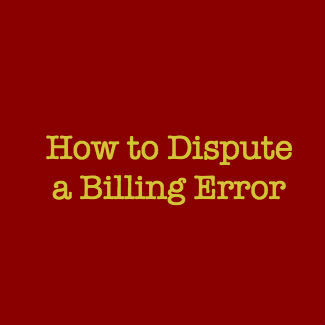 Billing errors can be frustrating – not to mention expensive – to deal with. When this situation arises, you’re left with two less-than-desirable options: challenge it or just pay it. In many cases, challenging an erroneous invoice is worth the effort. In this article we’ll offer tips for avoiding the headaches and long hours associated with disputing charges. It can be tempting to give into feelings of frustration and anger, but controlling your irritation will keep you calmer throughout the process and yield better results. Write a polite and well-worded letter describing the problem and asking for assistance in sorting it out. Be sure to follow the chain of command. If you address a letter to the CEO of a bank, for instance, you’re likely only delaying a resolution. Start at the bottom and work your way up until the issue is resolved. Most companies have formalized processes for dealing with disputes such as these. Respect the organization’s process and keep your temper in check during the process. Write your letter within 60 days of receiving the incorrect bill. The Fair Credit Billing Act will only protect you if you follow its limits, which means writing within 60 days after the bill was sent to you. You can find a sample letter from the Federal Trade Commission here. In some cases, it may make sense to request a proof of mailing certificate from the post office. This way, you have some evidence that the letter was indeed mailed by you. You may even consider sending it via Certified Mail with delivery confirmation (if the discrepancy is large enough). When drafting the letter, be sure to provide full information, including your name, address, account number, a brief overview of the issue, and copies of sales receipts and any other documents that support your claim. Try to limit the letter to a single page. CC (carbon copy) a regulator; by showing that you’re sending a copy of the letter and documents to the Comptroller of the Currency or the Federal Trade Commission, you show that you mean business. If you still have questions about the process of disputing an inaccurate bill, call the experts at Baker Retirement & Wealth Management, PC. We routinely help small business owners and consumers with these and many other types of issues. Our team has been providing financial advice in the greater Evansville area for nearly thirty years. Stop by the office in Newburgh, Boonville, Evansville, or Owensville or give us a call toll free at 1-866-244-3517.